The Indiana Public Retirement System posted a Q & A document on its website regarding the Governor’s proposal to pay off a pension liability in an effort to help increase teacher pay. View the Q & A document here. American Institutes for Research added two additional training opportunities for the live I AM Regional Training. These will be offered on Monday, March 4, in Indianapolis from 1-4 p.m. ET and Monday, March 18, in Crown Point from 1-4 p.m. CT. To register for one of these events, please visit the I AM portal here. Our office is developing several videos this spring to share with parents and educators. These videos highlight the development of Indiana’s assessment system and topics specific to our assessments. Please share these valuable resources via newsletters or parent messages. How is Indiana considering building a system of assessments? Watch this 3-minute video to find out more about how Indiana assessments work together. How is Indiana integrating technology with assessment? Watch this 3-minute video to find out more about Assessing with Technology. IDOE's Social, Emotional, and Behavioral Wellness website is now live. This week you will find the Social-Emotional Learning Toolkit, supporting video, the Universal Screening Toolkit, and Social-Emotional Learning Lesson plans. Next week will be the final resources which include Educational Neuroscience Toolkit, educational video, and Neuroscience Lesson plans. Please contact Christy Berger, Assistant Director of Social, Emotional, and Behavioral Wellness, with further questions. Help improve early literacy through the use of EIG funds! To participate in part II of the EIG, please complete this form by Friday, February 8. More information is available on IDOE's EIG webpage found here. Last call! Educators teaching kindergarten through calculus are still needed as contributors to developing phase II of the math framework. Elementary (January 30), middle (February 6), and high school (February 4) educators are encouraged to join IDOE math specialists at the Indiana Association of School Principals headquarters in Indianapolis. The group will share their content expertise through the development of practical examples and digital resources for each Indiana Academic Standard. Click here to sign up. IDOE’s literacy team invites passionate educators to participate in the developing Phase II of the Literacy Framework. 9-12 grade educators are needed for Friday, February 1. If interested, please complete this form. Additional information will be sent to those signing up. Senate Enrolled Act (SEA) 217 does not endorse a single product or approach for dyslexia intervention. While there is not a specific intervention program schools must use, SEA 217 does have recommended instructional approaches. IDOE has created two documents to aid schools in selecting an intervention program. The “Dyslexia Intervention Program Check” can be used to investigate the fidelity of a dyslexia intervention program. The second document lists the recommended instructional approaches from SEA 217 and provides example approaches that satisfy the recommended approaches from the law. This is not an exhaustive list. IDOE does not endorse any of these products, but they are offered as examples. These documents can be found on IDOE's dyslexia page. Please read this month's ASPIRE HIGHER newsletter. This month, you will find information about the competitive grant opportunity, Mentorship Program, free tuition reimbursement, the grant amendment process, incredible free professional development opportunities, and more. IDOE is announcing its participation in the E-rate match program for special construction projects. This is available to any public school in Indiana and is a pilot program for FY2019 (July 1, 2019 to June 30, 2020) which may then be reviewed and modified as needed. Learn more here. Attention school counselors! The Office of Workforce and STEM Alliances will be hosting two informative webinars about computer science and what schools need to do to comply with Senate Enrolled Act 172. Topics will include an overview of CS in Indiana, course options, standards, assessment, resources, and more! To register for January 28, from 9:30-10:30 a.m., click here. 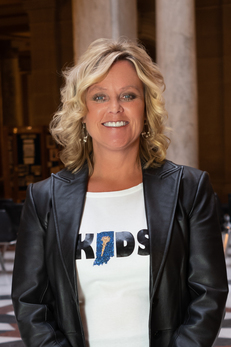 CSforIN is an initiative to empower all Hoosier students from kindergarten through high school to learn computer science and be equipped with the computational thinking skills they need to thrive in a digitally powered economy. Benefits of joining the community include access to a network of CS education stakeholders in Indiana, monthly newsletters, monthly community calls, and more! Join the CSforIN community by visiting CSforIN.org. These one- or two-day Computer Science Fundamentals workshops provide participants with an intro to computer science and pedagogy, an overview of quality elementary CS curriculum, and strategies for teaching “unplugged” classroom activities. This is a free opportunity, and sub reimbursement is available. See this informational page for dates, locations, and to sign up. Contact Jake Koressel with questions. Designed for middle school educators teaching across all subjects, the Integrating Computer Science professional development workshop is designed to equip teachers with the knowledge and instructional strategies to integrate computer science into existing coursework. This is a FREE opportunity, and sub reimbursement is available. See this informational page for dates, locations, and to sign up. Contact Jake Koressel with questions. The goal of reaching agreement on key issues that are relevant to the equitable participation of eligible non-public school students, teachers, other educational personnel, and families in federal programs is grounded in timely and meaningful consultation between the LEA and the non-public school official. The Ombudsman webpage now has seven additional resources to support effective non-public school consultation. The Office of School Finance has calculated the 2018-2019 curricular material reimbursement payment to qualifying schools and charter schools. Click here for the memo. The per-student funding amount is approximately $79.58. An electronic funds transfer for reimbursement will be made on February 6. Questions should be emailed to this address. The Form 9 Financial Report data submission for the period of July to December 2018 must be uploaded through DOE Online no later than January 31, 2019. The submission process opened January 1, 2019. Please note that this will be the first Form 9 data submission to require two additional fields: School Building ID and Subcategory. As part of the upload of Form 9 data, school corporations may test their files using the “Test a File” error review button on the main dashboard of DOE Online -> Form 9. Please see additional guidance, a list of School IDs, and other information in the ESSA and Form 9 folders in the Learning Connection School Finance Community under “Files and Bookmarks." Additional information and all questions should be directed here. The second membership count date is February 1. Although this is a required membership count for all public school corporations and charter schools, the data will NOT be used in the FY2019 State Tuition Support formula. Specific information related to opening and closing times can be found in the DOE-ME layout in the Data Reporting Community of the Learning Connection. If you have questions, please contact either Melissa Ambre or Amy Pattison. The Office of Title Grants and Support has released allocations of 2018-2019 NESP funds to participating LEAs with an EL population percentage of five percent or greater and additional reallocated funds for LEAs with an EL population of 18 percent or greater. All participating LEAs who wish to use their additional allocated funding must submit a budget amendment form by February 15 to request their reallocated funds.